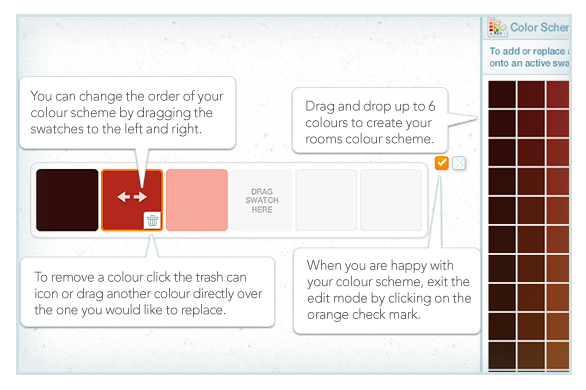 We have decided to bring down the sign up wall to allow people to create an Olioboard before creating an account. That means that you no longer have to name your board prior to creating it. We still need you to give your board a name in order to save it so we provided a quick save option with the “Save Draft” button. A published board is a public board so if you want to keep your work private, just continue to use the save draft button. There you have it. 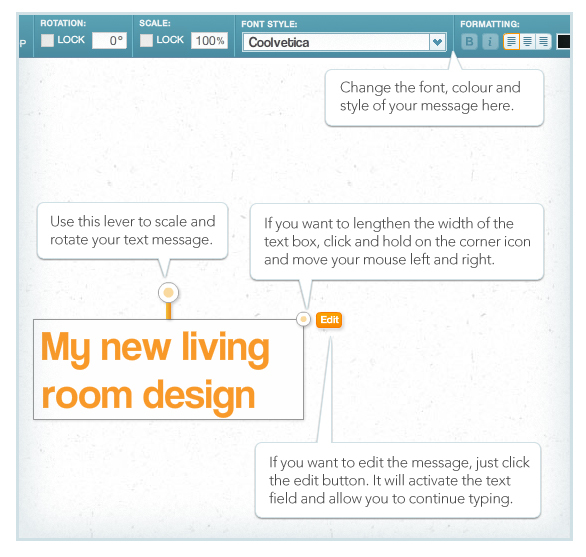 We feel these changes will help encourage others to try Olioboard.com for the first time. If you have any questions or thoughts on this new addition, please feel free to contact me at info@olioboard.com or leave a comment here. I’m happy to hear your thoughts and answer your questions. 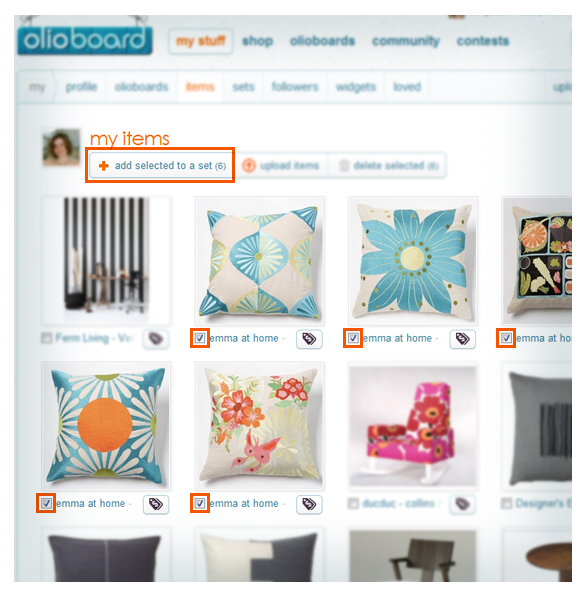 Due to popular requests, you can now edit the information on all the items you upload to Olioboard. Just click the edit button on the item detail page as seen in this image. 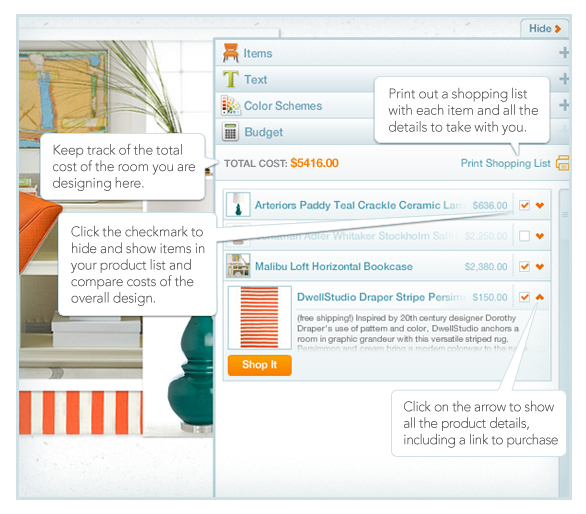 From there you can update price, website, brand, tags etc… to keep your items as up to date as possible. Let use know what you think. We’ve added a new color filter to our homepage style wall to help you narrow your search and focus on a specific palette. 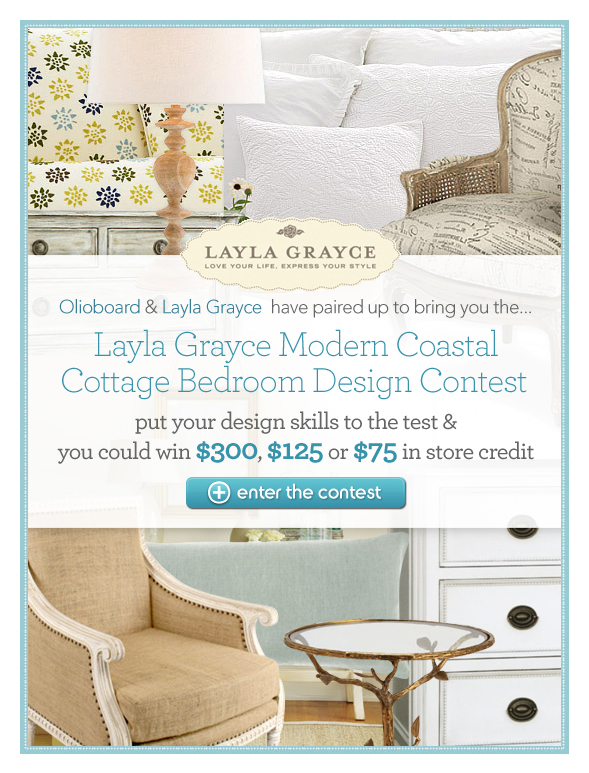 Creating sets and collecting items for a particular board design has never been easier. Try it out for yourself and let us know what you think. All the items above can be found in this set. 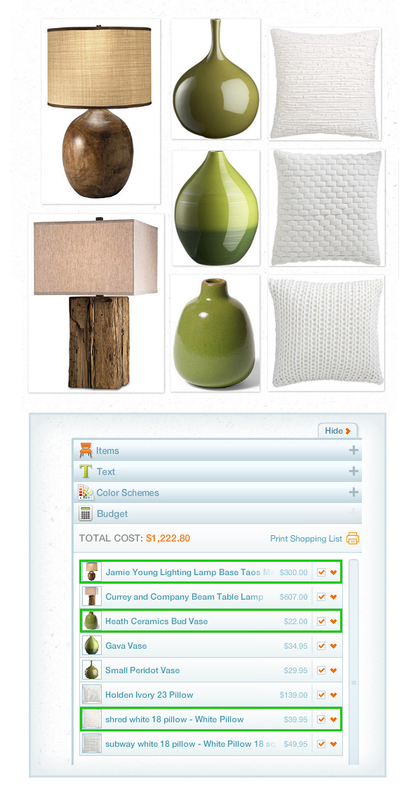 We’ve made saving items to sets much easier with the this new feature. To save multiple items at a time, just go to your “My Items” page and check the check boxes underneath each item you want to add to a set. Once you have gone through and selected all the items you wish to group together, scroll up to the top of the page and click the “Add Selected to Set” button. 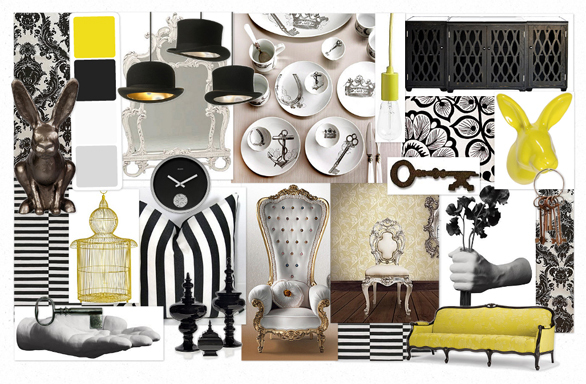 From there you can create a new set or simply add your items to a current set. Hey Everyone, as per your requests, NOTIFICATIONS are now available on Olioboard. You can easily keep track of any comments, votes, new followers and more. 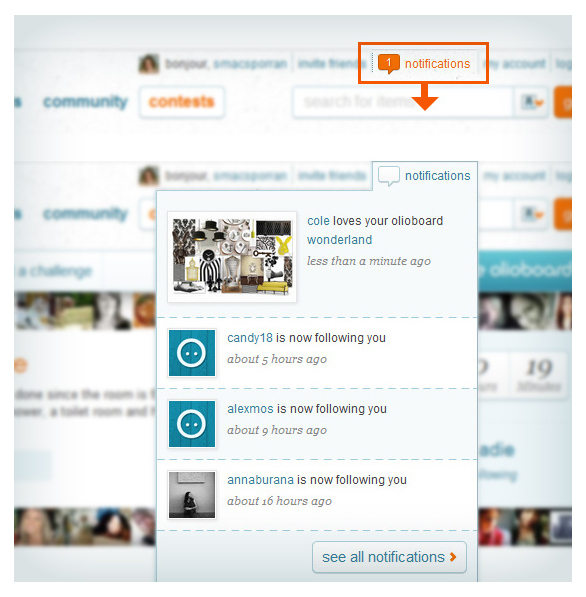 To view your notifications sign in to Olioboard and scroll all the way up to the top of the page. You’ll see a notification thought bubble next to your account settings. If you have notifications, the bubble turns orange and tells you how many you have. Just click to view. Let us know what you think!